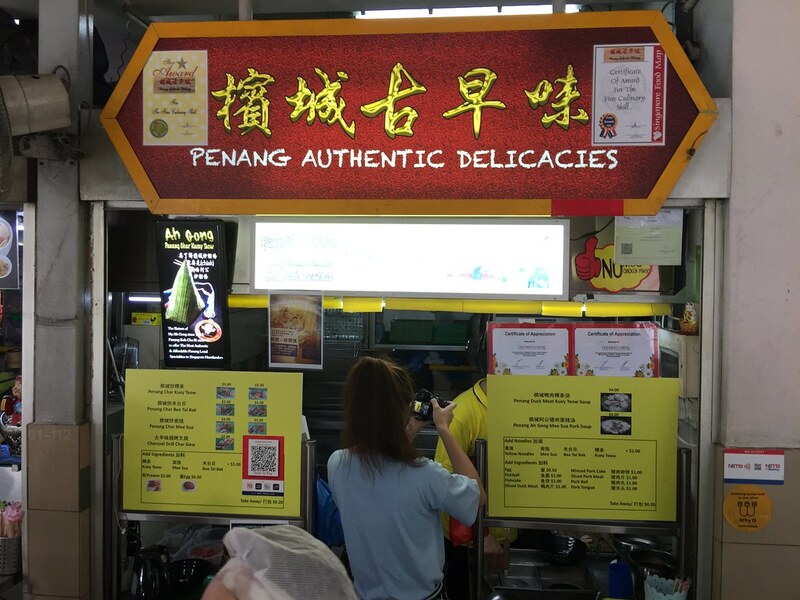 We did not plan to check out Penang Authentic Delicacies at Golden Mile Food Centre initially. It was after a disappointing lunch, we decided to find something else to eat that we chance upon this stall at the food centre. 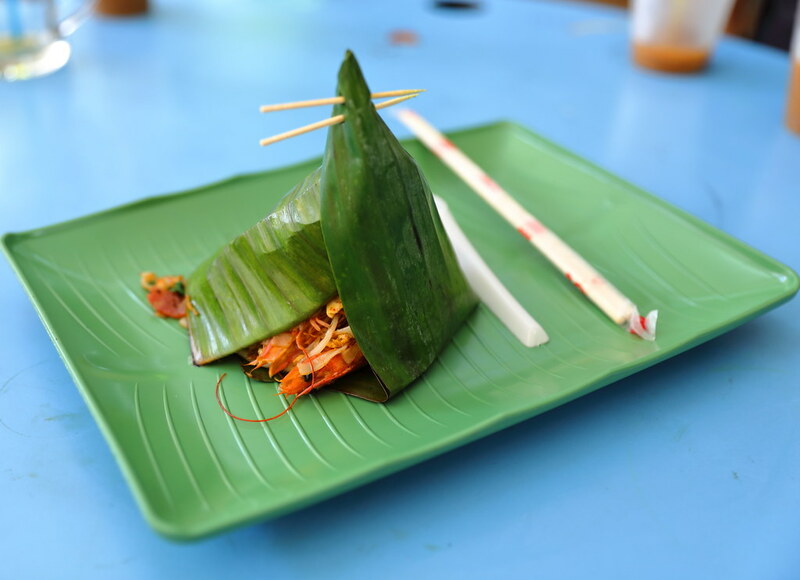 Our attention is quickly drawn to the Ah Gong Penang Fried Kway Teow ($3/$5) which is wrapped in banana leaf and served as a cone tower. Apparently this is how their Ah Gong used to serve it, concealing the aroma. I am not sure how truth is this as I have never seen it in Singapore and even Penang. Anyway, let see how the food taste. The plate of Penang Fried Kway Teow comes with prawns, clams, pork lard, fish cake, Chinese sausage, beansprout and egg. 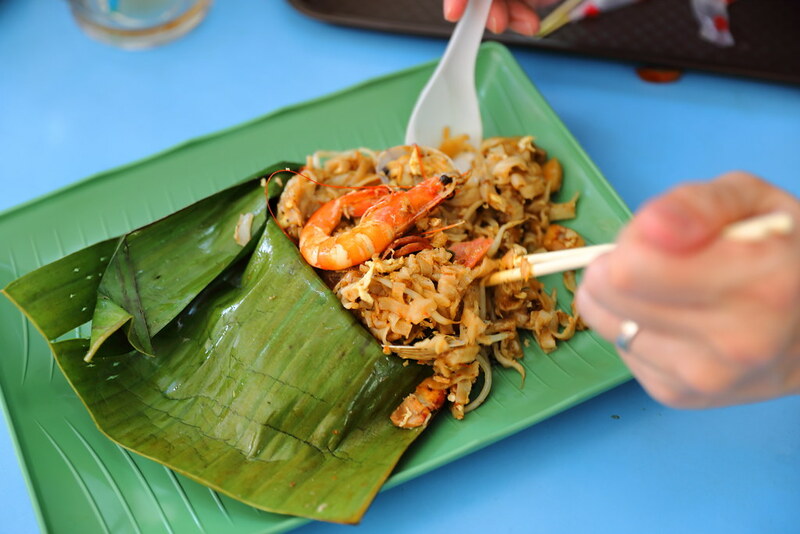 Unlike our local char kway teow which is sweet, this is packed with savouriness with a slight hint of smokiness. The version is slightly drier but not oily. Besides the Penang fried kway teow, we also tried the Penang Ah Gong Mee Sua Pork Soup ($4). 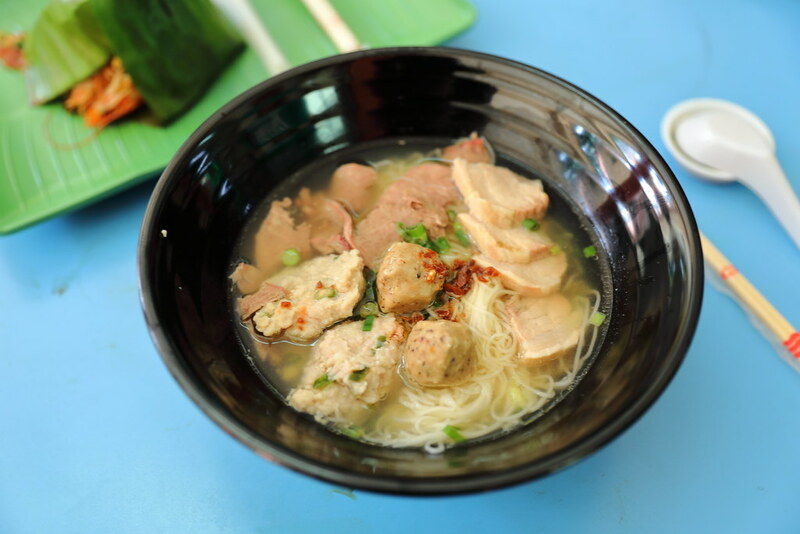 The smooth and silky mee sua comes in a light but sweet broth, accompanied by ingredients such as minced pork patty, pork balls, sliced pork and pig's tongue. I am rather delighted with the generous serving but I find the thinly sliced pig's tongue lacked texture. 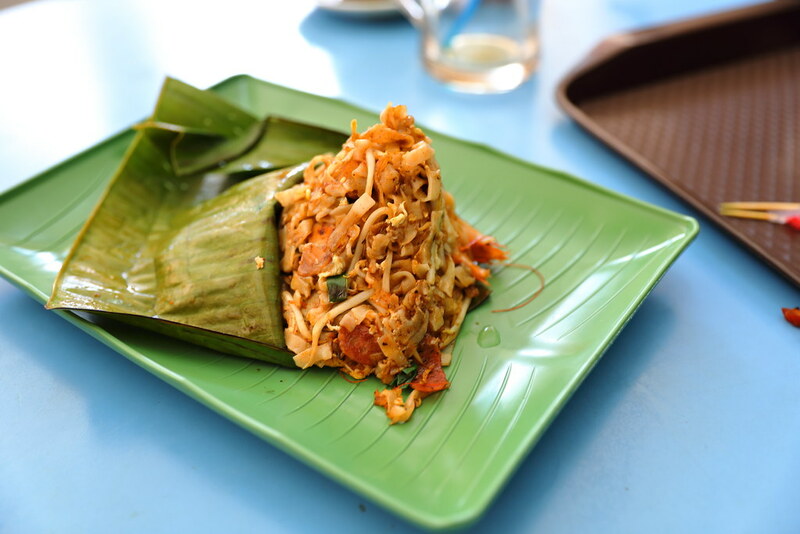 Besides the Fried Kway Teow and Mee Sua Pork Soup, the stall also offers other items on the menu such as Duck Meat Kway Teow Soup, Penang White Curry, Fried Mee Tai Mak and Fried Mee Sua.